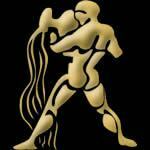 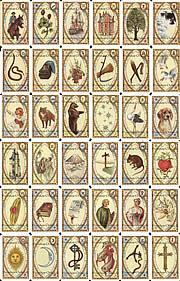 Draw your daily Tarot card Aquarius for health and your love life in your partnership for overmorrow, Sunday, April 21st. 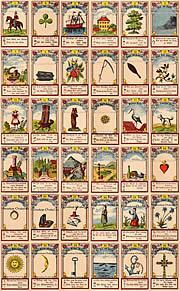 The daily Tarot card will show you your possible future and the most important events, which will come to you. 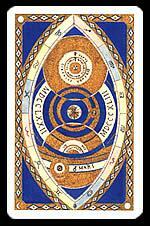 You will also get the magical meaning of your card. 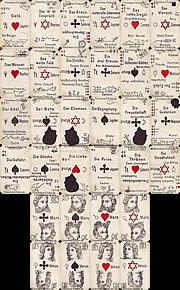 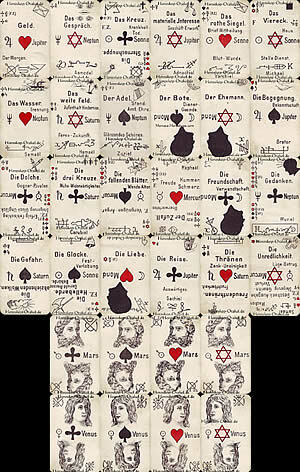 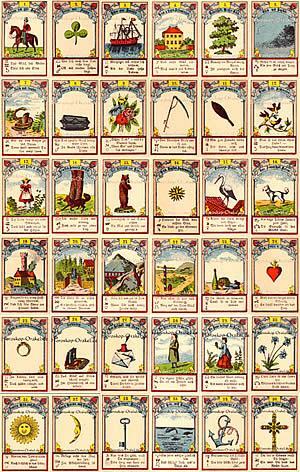 Here you see the 36 cards of the astrological Lenormand Tarot with the reverse side up. 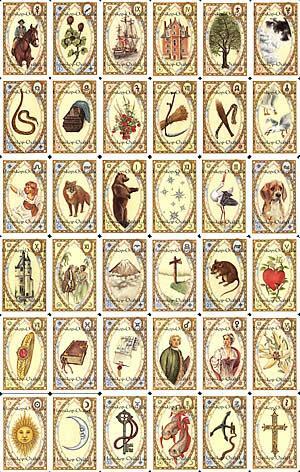 How do you like the partnership love Tarot card for overmorrow?